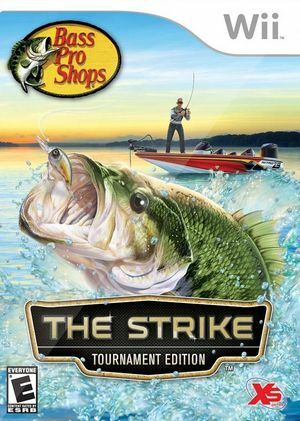 Bass Pro Shops: The Strike - Tournament Edition lures you in with the promise of biting fish. Then it hooks you with incredible visuals and the ultimate realsim to deliver a perfect day at the lake! Fish ten of North America's best lakes - including two exotic, hidden lakes - all stocked with plenty of freshwater fish and one scale-busting legendary catch. Prove how well you know your stuff in tournaments and in the Bass Pro Invitational where you can win real prizes. Hit the Bass Pro Shop to grab the latest gear, then check your stats to see your favorite lures, heaviest catches, and more. You can fish with your normal controls or with the Fishing Rod peripheral. The graph below charts the compatibility with Bass Pro Shops: The Strike - Tournament Edition since Dolphin's 2.0 release, listing revisions only where a compatibility change occurred. This page was last edited on 27 September 2018, at 20:15.